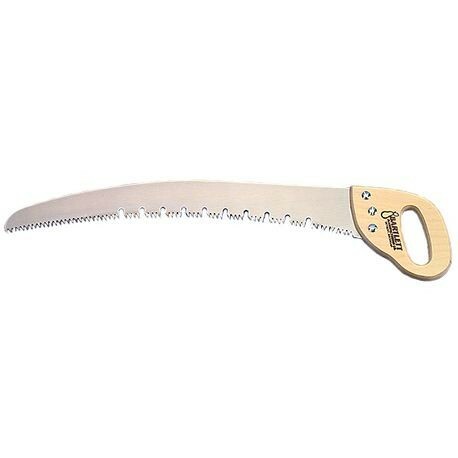 26 INCH PRUNING SAW (Leather Scabbard Part: 111-27, Blade Type: Standard cut, Blade Length: 26") | Tallman Equipment Co., Inc.
Our most popular pruning saw is an excellent choice for clean and easy removal of branches. Stamped from heavy gauge polished saw steel, they have comfortable, durable laminated wood handles. All utility saws have curved blades and 5 points per inch. This utility saw features a 26" long blade.